Scientists have shed new light on how the common painkiller paracetamol causes liver damage. Their findings may offer valuable insights into poisoning caused by an excess dose, which can be difficult to treat and may prove fatal. The discovery could inform research into therapies to counteract harm caused by the drug, which is the leading cause of acute liver failure in the Western world. 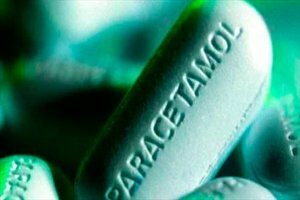 Scientists at the University of Edinburgh studied the impact of paracetamol on liver cells in human and mouse tissue, and tests showed that in certain settings paracetamol can damage the liver by harming vital structural connections between adjacent cells in the organ. When these cell wall connections known as tight junctions are disrupted, the liver tissue structure is damaged, cells are unable to function properly and they may die. Researchers aim now to develop a reliable method of using human liver cells as an alternative to animal testing. They then will seek to examine how varying paracetamol doses and timescales affect toxicity in the liver, and identify potential targets for new drugs. The study, involving researchers from the Universities of Edinburgh and Oslo and the Scottish National Blood Transfusion Service, was published in Scientific Reports. It was supported in part by the Biotechnology and Biological Sciences Research Council and the Chief Scientist Office.